In my opinion, Bastrop is a hotspot for arts and culture, especially compared to most small towns. One of the centerpieces of Bastrop culture is the Bastrop Opera House. It was built in 1889 and has been under the direction of Chester Eitze since 1984. Bastrop Opera House is a non-profit theatre organization that produces quality theatrical productions that entertain, inform and stimulate audiences. The Bastrop Opera House also offers classes for children and adults, and their YOUTHeatre has won awards at the Texas Nonprofit Theatres’ Youth Conference. Classes begin in September. You can even rent the historic Bastrop Opera House building for activities such as meetings, weddings, receptions, performances, etc. The radio troupe also has three one-act plays available for booking, either at the Bastrop Opera House or your special event. These rated G performances include The Pussycat and the Expert Plumber Who Was a Man, Panic in Salem, and 12 Skulls Mean Death. The performances at the Bastrop Opera House are excellent! In September, you can take in a performance of Hats! The Musical from Sept. 16th-26th on Friday and Saturday evenings and Sunday matinees. The opening is on Thursday, Sept. 16th at 7:30pm. General Admission Tickets cost $12 for Adults, $10 for Seniors 60+, $8 for Students (High School and College) and Active Military and Veterans, and $5 for all children 14 and under. VIP “HAT Circle” tickets are available for $15 each. Bastrop Opera House is located at 711 Spring Street in historic downtown Bastrop. 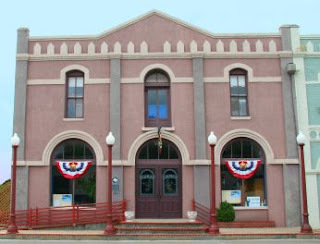 For more information about Bastrop Opera House and performances, visit http://www.bastropoperahouse.com/.